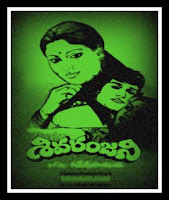 Sivaranjani is 1978 Telugu Drama film written and directed by Dasari Narayana Rao. The film is about a village girl Sivaranjani who goes on to become a famous film actress, played by Jaya Sudha. It is a Musical film with lyrics penned by C. Narayana Reddy. The music score is provided by P. Ramesh Naidu. The Abhinava Thaaravo Naa Abhimana Thaaravo and Joru Meedunnave Thummedaare memorable songs.Actor Hari Prasad, who is remembered for his role in this film.The lead Violin tune of Joru Meedunnave Thummedasong is played by Y. N. Sharma, father of Music Director Mani Sharma.